In this article, we will shed light on the connection that apparently exists between Candida and Leaky Gut Syndrome. We intend to dissect each term to make it easier to understand the link associating one with the other. 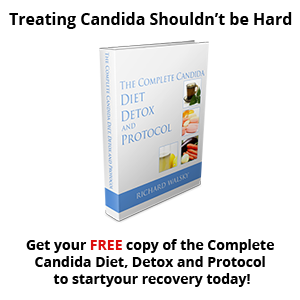 To begin with, it is important to mention that you and I have a certain amount of Candida present in our bodies. That is just the natural course of things. The number of this yeast-like fungus is regulated as an overgrowth of which can lead to the disruption in the normal functions of our bodies. According to the National Candida Center’s website, such overgrowth cannot only cause yeast infection but Leaky Gut Syndrome too. Furthermore, yeast infection and Leaky Gut Syndrome are not just liked to food allergies but both can likewise cause other health problems as well. An overgrowth may be a result of different factors. From the information provided by the Oral Cancer Foundation, such factors include antibiotic therapy, radiation treatments, corticosteroid treatment and even AIDS/HIV conditions among others. What is the Leaky Gut Syndrome anyway? Now, before we draw the connection between the aforementioned yeast-like fungi to the so-called Leaky Gut Syndrome, allow us to give you brief information about the latter. 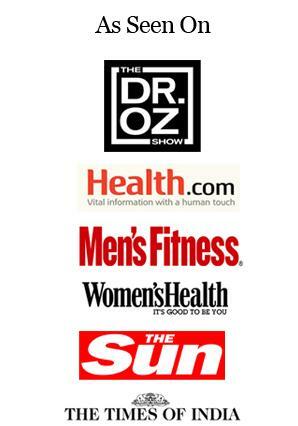 Dr. Leo Galland, in his article entitled “Do You Have a Leaky Gut Syndrome?” clarifies that it is a pathological condition which takes place as a part of many different syndromes and illnesses. That being said, Galland notes that Leaky Gut Syndrome must not be dismissed as a single disease or syndrome for that matter. The condition is further defined in the article as an abnormal increase in the small intestine’s permeability. In the website of the Oral Cancer Foundation, it was discussed that an overgrowth in the earlier mentioned yeast-like fungi can cause the development of Leaky Gut Syndrome. It was explained that the yeast-like fungi change their form and produces rhizoids. Such rhizoids damage the intestinal walls. Once breaks have been made, toxins and improperly digested proteins and fats may then be allowed entry and ultimately wreak havoc to your health. As another negative effect of the disruption to the natural cycles of the body, the substances that penetrate the damaged walls are then regarded as foreign bodies. Normally, the body produces antibodies to combat what it acknowledges as foreign substances. And it does the same in this case. The problem is the information it considers to be correct is flawed. Once the antibodies have been formed, the person concerned may notice that he or she is now allergic to the foods that never gave him or her any problem in the past. Even if the overgrowth has been regulated, the person suffering from Leaky Gut Syndrome would still have to deal with food allergies. The allergies will go away only after the antibodies to the food in question have been finally eliminated. Galland brought up certain symptoms that may signal the condition. They include chronic fatigue, chronic skin condition, chronic depression, chronic diarrhea, aches in multiple joints, and pain in the abdominal area. He also warns those who consume large amounts of alcohol and take anti-inflammatory drugs of their likelihood to develop such condition. The National Candida Center also compiled a list of syndromes that may warn about such condition. You and I should likewise take note of them. It stated that the face may swell following an exposure to strong smells. One can also experience the discomfort associated to gas and cramps after consuming a meal. A person’s irritability, poor concentration, and headache may similarly be caused by such condition. The moment you suspect that your body is not functioning as usual, find time to seek medical assistance. Although some of the given symptoms do not appear to be grave, it does not rule out the likelihood that they may signal a bigger problem. It is best to be sure that you are safe from danger. After all, who would want to be consistently bothered by discomforts? With the many responsibilities you and I need to juggle on a daily basis, the last thing we want to happen is to be kept by our poor health from doing our usual activities. There is no denying that medical assistance can help in effectively addressing the problems brought about by the overgrowth and the Leaky Gut Syndrome. Even so, it is important to emphasize that the success of the treatments are nonetheless largely influenced by the patient’s cooperation or lack thereof. You must treat your gut properly like it is your best friend. 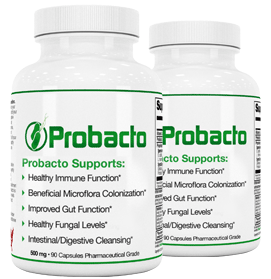 You should consider taking probacto probiotics for your gut health. As in any other health condition, one should acknowledge that the road toward better health involves lifestyle changes and proper diet. For instance, one has to learn to at least regulate his or her consumption of alcoholic beverages if he or she cannot completely refrain from drinking them. 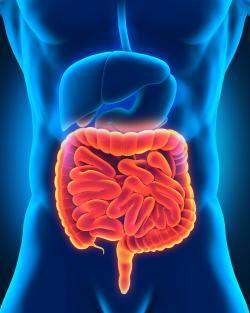 If you have not already done so, please look at these 21 facts you should know about your gut.